Irish whiskey lovers are luckier than ever. 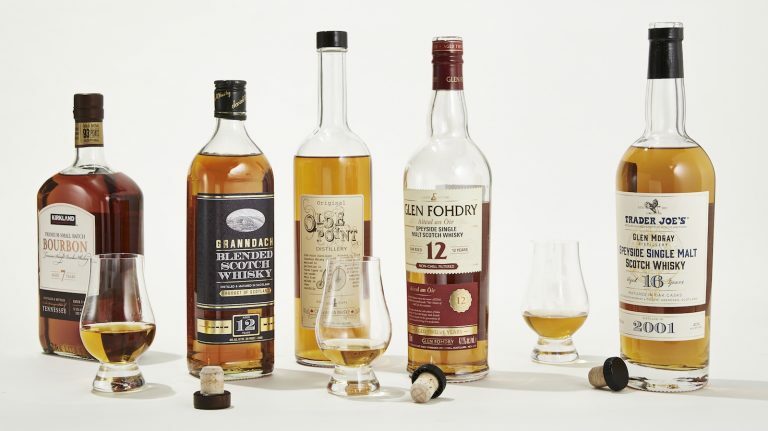 More blended Irish whiskeys have appeared in the last five years than in the previous 50. 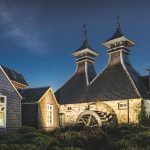 The transformation of blended Irish whiskey from a lifeline thrown by the few surviving distillers of Ireland to the life force driving forward one of the most thrilling whiskey-making nations is a truly remarkable feat. Irish pot still whiskey and Irish single malts deserve the love of aficionados, but for Ireland, the blend is savior, champion, protector, hero, and guardian angel. Author Alfred Barnard visited 29 Irish distilleries on his grand tour of the whisky distilleries of the United Kingdom in the 1880s, chronicling the height of Irish whiskey’s popularity. By the 1920s, Irish whiskey sales were struggling, due largely to political events at home and abroad, including Prohibition in the U.S. By 1966, just three distilling companies remained in the Republic of Ireland: John Power & Son, John Jameson & Son, and the Cork Distillery Companies. In a final stand, they consolidated to form Irish Distillers Limited. 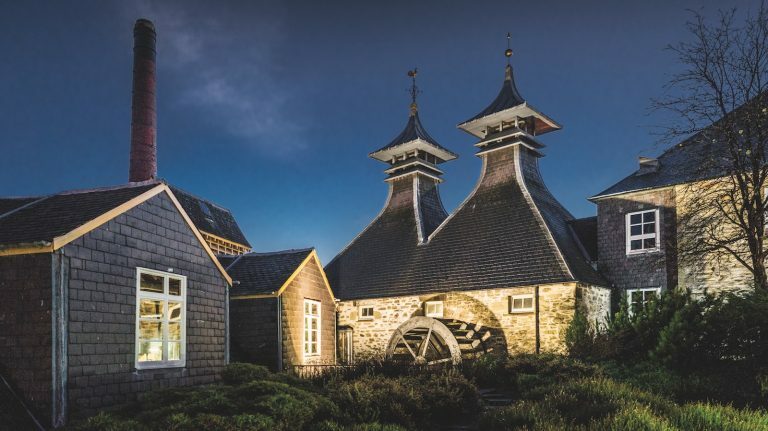 The remaining distilleries were closed, and a brand new modern distillery was erected at Midleton with the unifying mission of producing a blend with an appealing new taste that might save them all. Distilling with blending in mind is both a well-honed talent and point of pride for Irish distillers, who now deliver a broad spectrum of sublime flavor permutations. Beyond being deliciously smooth drams, Irish blends are a lesson in resilience, self-sufficiency, versatility, and ingenuity. It was blended Irish whiskey that led the modern revival and created the current condition where every county in Ireland might have its own flourishing distillery again. Beyond Jameson, Midleton Distillery lends its name to a benchmark blended whiskey, drawn from the best casks in a given year: Midleton Very Rare. After more than 30 consecutive years, each annual release displays its own personality. Crockett selected 32 casks to blend together for the first release, Midleton Very Rare 1984, and it was launched ceremoniously to the assembled dignitaries gathered at the distillery on a cold, wet November day in 1985. At a time when Irish whiskey brands were largely represented by one standard expression each, the price tag of 40 Irish punts a bottle for Midleton Very Rare (equivalent to $47 at 1985 prices) looked an exorbitant sum. Crockett recalls the press grumbling about the cost too, but retrospectively, they probably wish they had bought a few bottles: some of these mid-1980s releases can now fetch $4,000 at auction. The average age of the whiskey in the inaugural bottling was 9 or 10 years, but by the time Crockett was adding his signature to his final release in 2013, the oldest whiskey in the blend had risen to around 24 years. The latest bottling, the 2017 release, costs $300 a bottle and it includes whiskeys up to 32 years old. 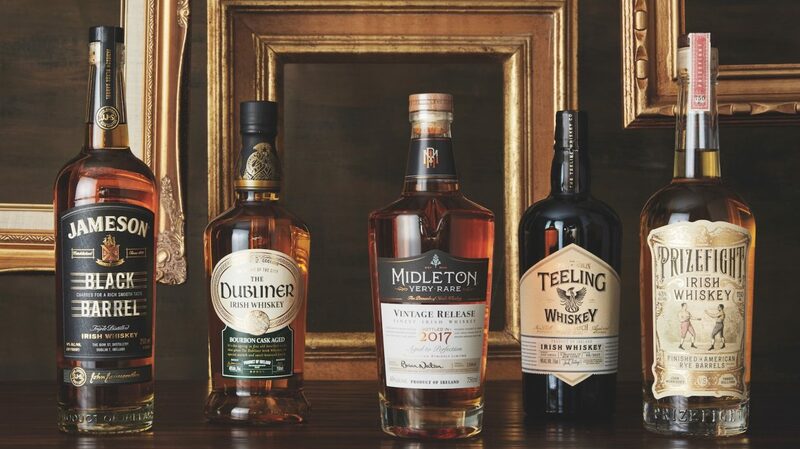 With an eye on the future, Irish Distillers instituted a policy of putting aside 100 casks a year of top-quality stock for blending Midleton Very Rare, creating a treasure trove of flavor for the head blender, now and in the future. While Midleton Very Rare celebrates the nuances of character and individuality, a torchbearer blend like Jameson demands consistency. Jameson blazed the trail for the Irish whiskey revival and it accounts for four out of five bottles of Irish whiskey sold in the United States. 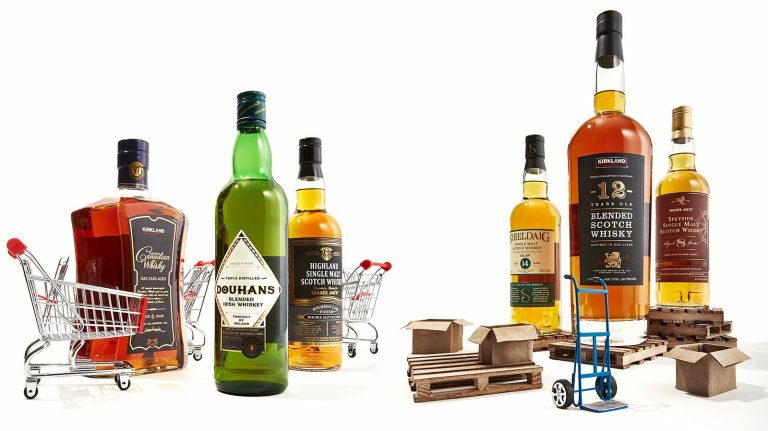 Sales have surged year on year to 3.2 million cases in 2017, up from 2.8 million cases in 2016, empowering a new, younger audience to fill their glasses with the latest Irish blend—and there are plenty to choose from. Billy Leighton is now in charge of blending for Jameson, but is he working with the same recipe that was devised in the 1970s? “What I have inherited from the previous blender has not changed,” he says reassuringly, noting, however, that the Jameson team has driven quality higher. “Our wood management is the most significant improvement,” says Leighton. “We are in a position to improve the percentage of new casks we purchase each year. From the blender’s point of view, that makes my job a lot easier than it would be otherwise, you know?” Leighton recalls what passed for cask management in 1976 when he worked at Bushmills: a mountain of empty casks sat stacked in a field beside the distillery. Modern cask management is quality-driven, and Leighton is enthusiastic about Irish Distillers’ cask procurement processes. “We keep the quality of wood in our inventory at such a high level; there are bourbon casks, sherry casks, and we have bespoke casks made for us in Spain. We don’t risk anything by going into the spot cask market and taking a chance on what’s out there. We can go to the bodega today and follow the stack into the cooperage when they’re making the casks, we go to the sawmills up in Galicia, and we can go up into the forest where they source the wood.” In this way, as blends rise in popularity they can actually ascend in quality as well. The personality of each whiskey within the Jameson family is formed from the cereal selection, the distillation methods, the quality and type of casks, and the maturation process. Malted and unmalted barley, corn for the grain whiskey, the handful of different grain and pot still styles, a commitment to quality running through the wood program, and an unparalleled inventory of maturing, aged Irish whiskey are all variables that facilitate plenty of scope for diversity and creativity. With appreciation for Jameson’s blending on the rise, the distillery has offered special expressions that allow fans to peer under the hood of the famous blend. The Jameson Deconstructed series, available only in Global Travel Retail, highlights what the grain whiskey (Jameson Lively), the pot still (Jameson Bold), and the wood (Jameson Round) bring to the finely tuned performance. The Jameson Whiskey Makers series showcases the skills of head blender Billy Leighton on Jameson Blender’s Dog, and the wood-derived characteristics of mature whiskey flavor in Jameson Cooper’s Croze that celebrates the craftsmanship of head cooper Ger Buckley. 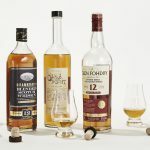 And of course, there are new riffs on the old standby: Jameson Black Barrel uses double-charred casks, which bring out smooth toffee and nut flavors; the character of Jameson 18 year old is shaped by its first-fill bourbon finish; two Jameson Caskmates bottlings are finished in beer casks that held stout and IPA; and Jameson Rarest Vintage Reserve includes older pot and grain whiskeys with a portion matured in port pipes, which round out this complex, fruity, and rare treat. Triple distillation of the malt means Bushmills’ blends include a much lower percentage of lighter grain whiskey than most popular blended scotches. Bushmills Original is primarily aged in bourbon casks for around 5 years, which yields soft vanilla and honey notes, but there is also a hint of spice influence from sherry cask maturation. The dark, fruity richness of Bushmills Black Bush comes from aging predominantly in oloroso sherry casks for up to 8 years, while Bushmills Red Bush, the newest addition to the range, is designed to attract bourbon drinkers with its vanilla, malt, and sweet caramel flavors derived from around 4 years spent exclusively in bourbon barrels. Today, Bushmills excels as a triple-distilled single malt specialist, but surprisingly, records show that Bushmills made pot still whiskey during the 19th century. Coleraine Distillery, eight miles away, made grain whiskey in patent stills for the company’s blends during the second half of the 20th century until production ceased for good in 1978. Since then, Bushmills relies on a single large distillery in County Cork to make grain whiskeys for blending to their specifications. “We use three different types of grain whiskey, and we mature all of it in bourbon casks, many of which are first fill,” explains Mulholland. One of the grain whiskeys is produced in a pot still rather than the typical continuous column still. “In our Original and Red Bush blends, we use a medium-style grain, but for Black Bush, we use all three types,” she says. This sort of exponential possibility epitomizes Irish blending. From a few good whiskeys come many. With Ireland’s distillery building boom in full swing, everyone is trying to find a unique twist on Irish whiskey, including one newcomer who has revived an old Irish tradition. 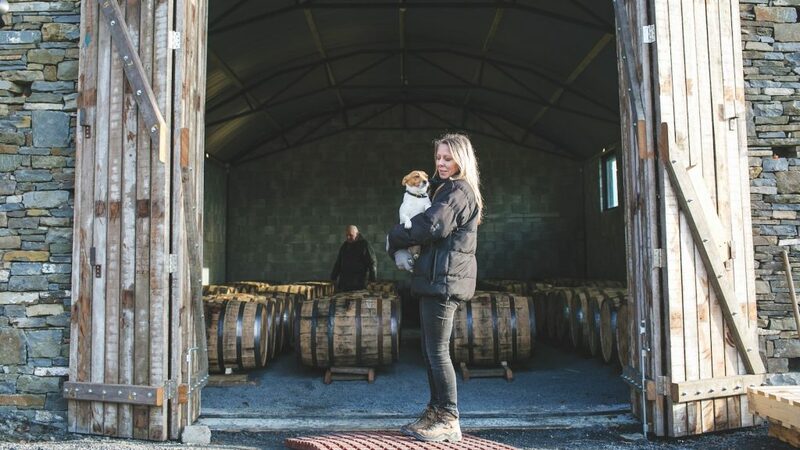 “I’m Ireland’s first modern whiskey bonder,” declares Louise McGuane, the founder of Chapel Gate Irish Whiskey Co. McGuane sources new make spirit from distilleries all over Ireland and puts it into casks she sources herself. These barrels are transported to County Clare to be stored in Chapel Gate’s purposefully built clay-floor rackhouse on McGuane’s ocean-facing family farm on the west coast of Ireland. Bushmills master blender Helen Mulholland uses different grains and finished to distinguish the whiskies in her range. Since she began filling casks two years ago, McGuane has laid down a lot of young spirit. While she waits for it to mature, she is blending. She has sourced and blended mature malt and grain whiskeys to create J.J. Corry The Gael. Corry was a local whiskey bonder who operated from 1890 until his death in 1932, and like many rural blenders of his time, he was a local grocer who created his own brand. Blending scotch and Irish whiskey was also permitted, reveals McGuane. “This annoyed the Dublin distilleries no end, who were seeing their market share eaten away by Coffey still spirit, which they hated.” Ironically, Aeneas Coffey, the inventor of the eponymous still, was an Irishman, but it was the major blending companies in Scotland that embraced his invention so enthusiastically, leading Scotch whisky to dominate Irish whiskey for more than a century. Bonding came to an end when the last few remaining distilleries cut off supply to the bonders in 1963. As in the U.S., many new Irish distillers bottle sourced whiskey under their own name while they wait for their own spirit to mature. Unlike the U.S., this is not always apparent from the bottle. American craft distillers no longer dare to be anything but transparent about their sources, and Ireland has lessons to learn. 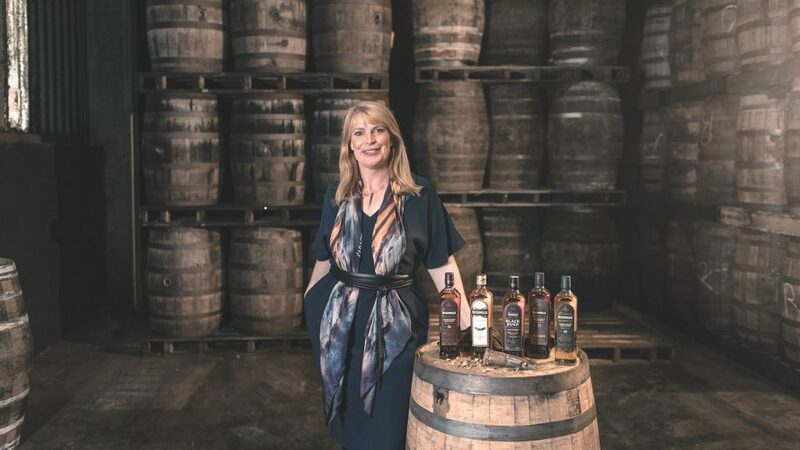 “People should watch out for Irish whiskey labels with new distillery names on them,” warns McGuane, who fully discloses the ages and proportions of the whiskeys in her blend, which range from 7 to 26 years. 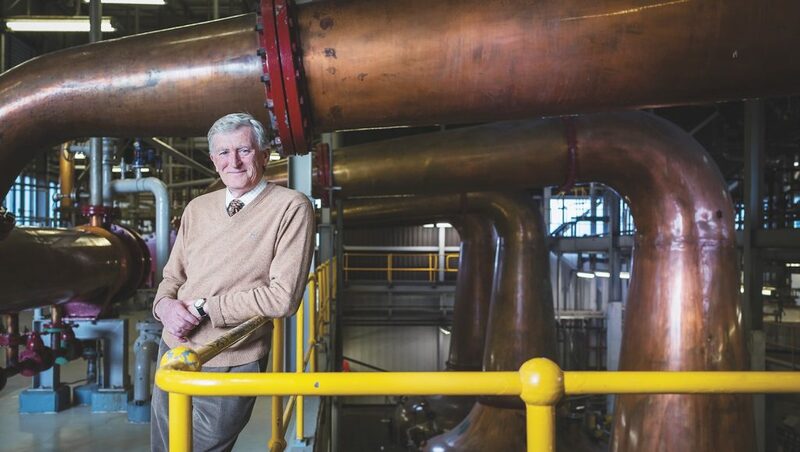 “A quick online search will let you know if that distillery actually exists, if it is under construction, or has only just begun production.” Like the U.S., McGuane believes consumers demand truthfulness in Irish whiskey. “It’s simply what whiskey drinkers expect and deserve now,” she says. In Ireland, however, an educated guess can go a long way. 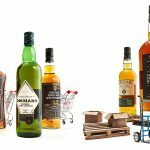 Generally speaking, only Old Bushmills, Cooley, and Midleton Distilleries have sufficiently deep stocks of mature Irish whiskey on their hands to provide to an upstart brand. Irish blends are the indomitable spirit of the island and deserve recognition for their valiant role in the restoration of this principal style of Irish whiskey to the mainstream. Ireland produces elegant single malts; distinctive, spicy, and sultry pot still whiskey; and sweet, smooth grain whiskey. In the best of Ireland’s blends, whiskey lovers can discover them all in perfect harmony.